In this part we will create a Sound Manager which will hold and play our sound effects. We will also write the C# code required to make our ball ricochet off of paddles, walls and goals. Because many people asked I will also use the Windows version of Unity in this tutorial and show you how to create our sprites using Gimp. 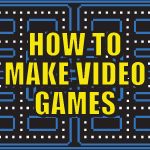 This tutorial series isn’t just about Pong. I will make numerous other games including games like Space Invaders, Pacman, Tetris, Mario and others. If there is a 2D game you’d like to see tell me and I’ll see what I can do. I’ll finish Pong in the next video and will cover the following topics : Collision Detection, Animation, AI Controlled Competitors, Physics, Keyboard Input, Unity User Interfaces, Splash Screens, Sound Effects, Background Music, Build Settings and more. If you like tutorials like this consider donating a $1 on Patreon.